September is National Piano Month, a holiday launched in 1991 by the National Piano Foundation – the holiday is observed throughout the United States. The modern piano dates back to 1709, when Bartolomeo di Francesco Cristofori, a harpsichord maker in Padua, Italy, improved his craft, and brought the instrument to a new artistic level. The Metropolitan Museum of Art in New York City has on display the earliest surviving instrument dated back to 1720. 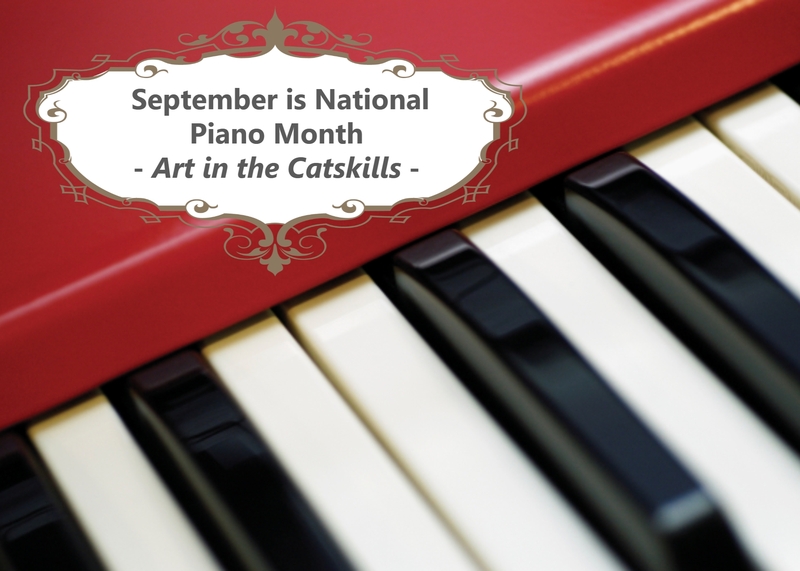 Catskill Mountain Foundation (CMN) in Hunter, Greene County owns and operates a Piano Museum, housing antique pianos, clavichords and harpsichords still in good condition – some of the oldest keyboards on display are as old as late 1700s, early 1800s, contemporary with Mozart and Beethoven. The Piano Museum is housed at the Doctorow Center for the Arts, located at 7971 Main Street in Hunter. Founded in 1998, Catskill Mountain Foundation is a pillar of artistic life in the region. Headquartered in the beautiful town of Hunter, Greene County, the foundation supports all artistic disciplines – visual arts, music, film, theater, and literature. 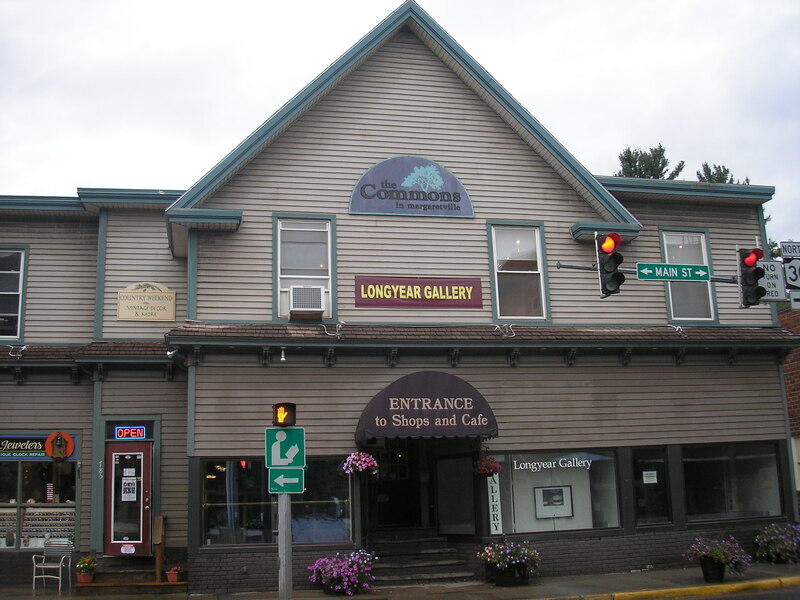 CMN owns and operates several different arts venues in the region: the Kaaterskill Fine Arts Gallery and Crafts Shop, the Village Square Bookstore and Literary Arts Center, and the Doctorow Center for the Arts in Hunter, as well as the Orpheum Performing Arts Center in Tannersville, and the Sugar Maples Center for Creative Arts in Windham. CMN also publishes a monthly magazine – Catskill Mountain Region Guide, highlighting some of the most important artistic events in the area. 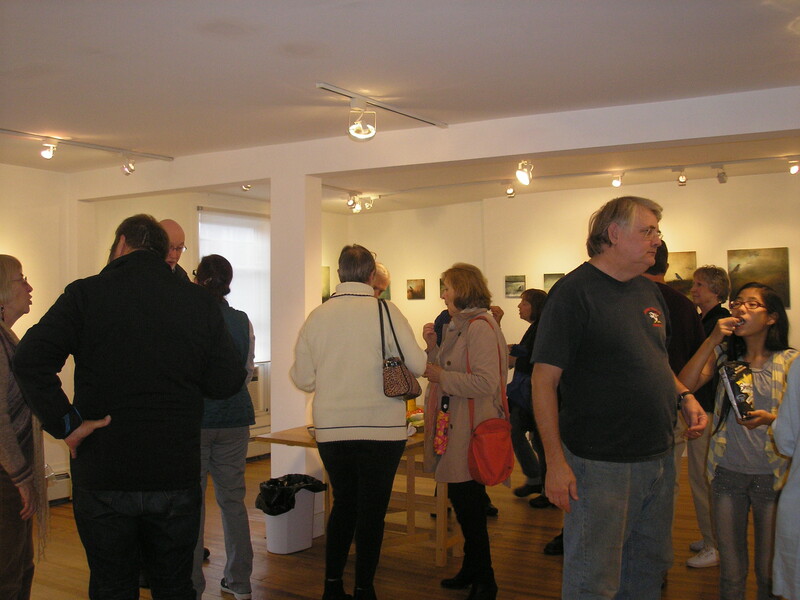 The Kaaterskill Fine Arts Gallery and Crafts Shop features contemporary art by local artists as well as lectures and workshops. It often presents new works by regional artists trained in the tradition of the Hudson River School of Painting. For more information and current hours of operation, visit http://www.catskillmtn.org. With temperatures in the high 70s, low 80s, this weekend seems like a dream: fall colors and sunshine, music, art and community – the Catskills has it all. 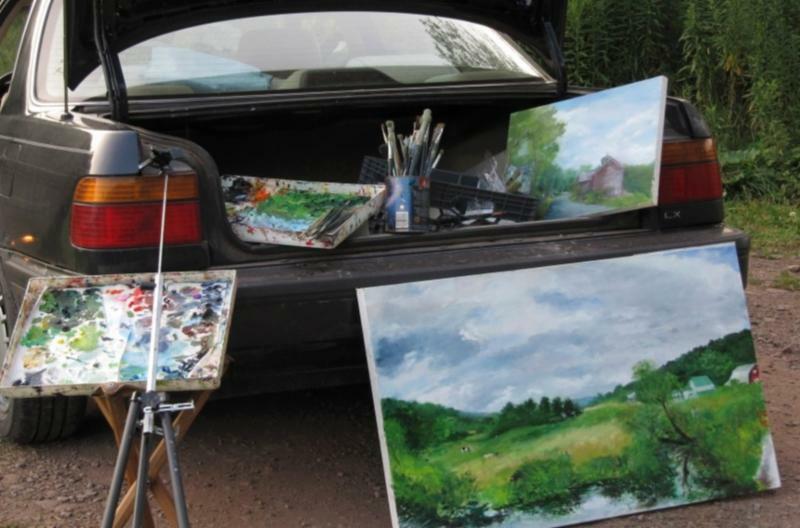 Saturday, September 27 from 3 to 6 pm Longyear Gallery in Margaretville is hosting an opening reception for artist Ellen Wong: “The Road Show” – an exhibit of twenty-five paintings and drawings depicting splendid Catskill Mountains scenery. Ellen Wong is an accomplished landscape painter originally from Brooklyn. She studied Art at Brooklyn College, and has been the recipient of many grants and fellowships, including the New York State Council on the Arts Decentralization Grant Program, administered in Delaware County by Roxbury Arts Group, as well as a National Endowment for the Arts Fellowship; in addition, she was a teacher / artist at Skidmore College. Ellen is a founding member of Longyear Gallery in Margaretville. She has had many exhibitions both in New York City and the Catskills. You can find more about Longyear Gallery at longyeargallery.org. Roxbury Arts Group (RAG), a premier arts organization in the Catskill Mountains, is hosting this weekend the 17th Catskill Mountain Quilters Hall of Fame Quilt Show featuring quilters from five counties: Delaware, Schoharie, Greene, Sullivan and Ulster. This year’s theme is “Let’s Celebrate Quilting”; quilting has had long tradition in America, dating back to the pre-colonial period, and then being expanded by the settlers. Initially designed as utilitarian products, in time quilts became valued for their artistic appeal as well. The Quilters Show at RAG will take place Saturday, September 27 and Sunday, September 28 from 10 am to 4 pm. For more information, visit roxburyartsgroup.org. Greater Roxbury Learning Initiative (GRLIC) is presenting RoxFest, its second annual rock concert this Saturday, September 27 at 12 noon. 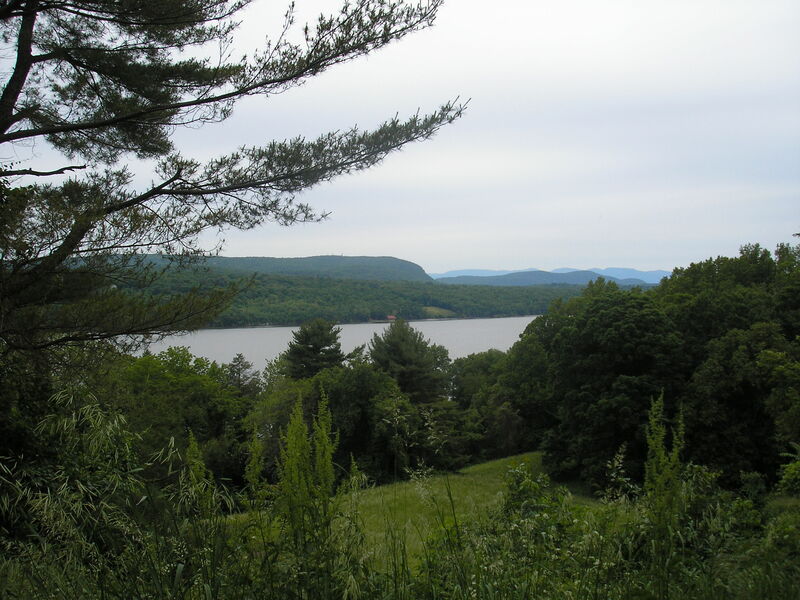 The event will take place at Plattekill Mountain on Plattekill Mountain Road in Roxbury. The proceeds will benefit GRLIC’s educational programs. For more information, go to roxfestny.com. Thomas Cole National Historic Site is having a Community Day event this Sunday, September 28, from 1 to 4 pm. Thomas Cole’s home at Cedar Grove as well as its galleries will be open to the public free of charge. Cole, the founder of the Hudson River School of Painting, lived and worked at Cedar Grove from 1833 to 1848. Born in England in 1801, Cole immigrated to the United States with his family in 1818. He took his first trip to the Catskills in 1825, and in 1832, seven years later, he opened his studio in Catskill, Greene County. Initially trained as a portrait painter, Cole switched to landscape shortly after. His most famous paintings include The Titan’s Goblet (1833), The Course of Empire series (1834 – 1836), and The Oxbow (1836). The Cedar Grove Main House (built in 1815 in the Federal style), as well as The Old Studio, and The Special Exhibition Gallery are open by guided tour, Wednesday through Sunday, May through October. For more information, visit thomascole.org. The Rhinebeck Arts Festival is taking place this weekend at the Dutchess County Fairgrounds in Rhinebeck. The festival celebrates all crafts and artistic disciplines: ceramics, glass, fiber, mixed media, photography, jewelry and more. Over two hundred artists and crafters from all over the country will participate in the event; Hudson Valley furniture makers will also be showcased. There will be music, dance, gourmet food and drinks. For more information, go to http://artrider.com/RHI14.html. With the foliage all under its way, the Catskills is becoming more of a destination for those eager to escape the metropolis and experience a bountiful country life. This Saturday, September 20 at 7 pm the Open Eye Theater is hosting its annual magic show with Art Martello, member of the Society of American Magicians and a program host on WIOX Roxbury. The show, titled this year “Seeing Is Believing,” is designed in the traditional parlor style, and benefits the Open Eye Theater. For more information, go to http://www.theopeneyetheater.org. The Woodstock Comedy Festival begins its fourth edition tonight at the Woodstock Playhouse located on Mill Hill Road; performances will begin at 7 pm. At 9:30 there will be a VIP party held at Cucina restaurant. Tomorrow evening at 7:30 Colin Quinn will perform at the Bearsville Theater on Tinker Street. For full program go to http://woodstockcomedyfestival.org/. Fisher Center at Bard College will host “The Ten Thousand Things” – a performance of musical pieces by John Cage, including: 59 1/2” for a String Player (1953), 45’ for Speaker (1954), 31’ 57.9864” for a Pianist (1954), 26’ 1.1499” for a String Player (1955), and 27’ 10.554” for a Percussionist (1956). Affiliated with the avant-garde movement of the 20th century, Cage was known for his original take on music, and his influence on modern dance. “The Ten Thousand Things” performance will take place Saturday, September 20 at 8 pm. For more information, go to http://fishercenter.bard.edu. Also, Orphic Gallery in Roxbury will host a blues performance with Zonder Kennedy and his band this Saturday, September 20 at 4 pm. The performance, open to public of all ages, will last until 8 pm. For more information go to http://www.watershedpost.com/sponsored/2014/zonder-kennedy-perform-orphic-gallery. Roxbury Arts Group has an opening reception this Saturday, September 20 at 4 pm: a group exhibit inspired by quilts. Participating artists include Margaret Leveson, Helene and Frank Manzo, Nat Thomas, Ros Welchman and others. For more information go to http://roxburyartsgroup.org/2013/04/14/september-20-november-8-inspired-by-quilts/. Also, Millbrook Vineyards & Winery is having an “Art in the Loft” artist reception in Millbrook this Saturday at 5 pm (more information at artsmidhudson.org), the Hudson River Maritime Museum in Kingston announces this is the last weekend of the season when both Rondout and Esopus Meadows Lighthouses can be visited, and Hudson Valley Harvest Festival kicks off at the Ulster County Fairgrounds this Saturday at 10 am (more information at hvharvestfest.com). Longyear Gallery, an artist-run cooperative founded in 2007 by Helene and Frank Manzo, celebrated its seventh anniversary this past Saturday. Helene, who graduated from Pratt Institute with a MFA in Art, has been a member of Blue Mountain Gallery in New York City since the 1980s. Seven years ago, when she and her husband photographer Frank Manzo purchased the Commons Building in Margaretville, they thought that it would be a great idea to have an artist-run cooperative right here in the Catskills. Seven years later most of the artists originally affiliated with the gallery are still members: Ellen Wong, Margaret Leveson, Ann Lee Fuller, Alix Travis, Tom Rapin, Ros Welchman, Patrice Lorenz and others. The gallery has one opening reception per month: there is space dedicated to group shows, and also a bigger space for solo artists. Ann Lee Fuller’s “Storytellers” exhibit was on display this past Saturday. Fuller’s show included thirty-eight paintings – a bird as an observer in what seemed to be abstract design alluding to various moods and changes in nature. Fuller was on site last Saturday, and signed her newly released photo book based on “Storytellers” show. Later this month Ellen Wong will open an exhibit of her newly painted plein airs called “The Road Show.” Alix Travis will have an exhibit from October 24 through November 17, and Frank Manzo from November 21 through December 15. Every year in December Longyear has a Holiday Group Show – this year the holiday reception will take place on December 20. The gallery is open year round Friday, Sunday and Monday from 11 a.m. to 4 p.m., and Saturday from 10 a.m. to 5 p.m., and also by appointment. For more information, visit http://www.longyeargallery.org. A September weekend filled with art in the Catskills: an art book reception at Longyear Gallery in Margaretville, a multi-media opening reception at the Opera House in Hudson, an art show at the Angeloch Gallery in Woodstock, and a screening of “To Be Forever Wild” in the Wulff Gallery at the Catskill Fly Fishing Center in Livingston Manor. Also, the “Woodstock Nights” event takes place Friday evening, as it always does on the second Friday of the month. 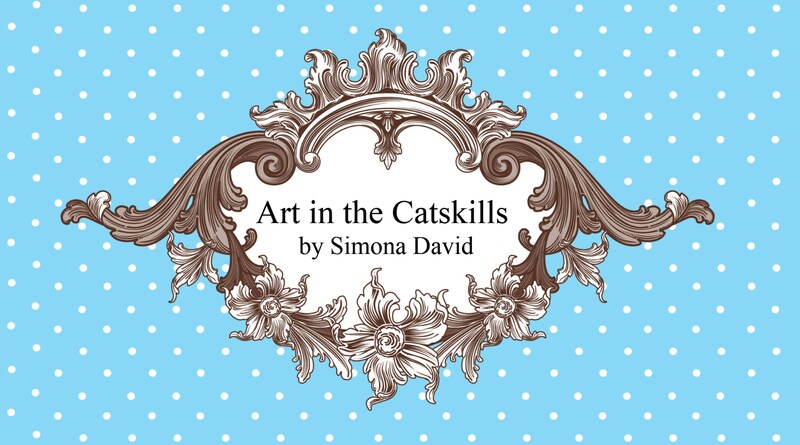 Once again, plenty to do for art lovers this weekend in the Catskills! Longyear Gallery in Margaretville celebrates its seventh anniversary this Saturday, September 13 from 3 to 6 pm with a “Seven Year Itch” party, and a book signing reception. Artist Ann Lee Fuller will be signing her newly released photo book “Storytellers,” based on her paintings currently on display at Longyear. For more information about this event, go to http://www.longyeargallery.org/. Artist Zach Gross is having an opening reception at the Opera House in Hudson this Saturday, September 13 from 5 to 7 pm. The show includes photographs, paintings, photograms and a video by Gross, who is internationally known for his portrait, fashion and landscape photography. For more information, go to http://hudsonoperahouse.org/2014/07/12/zach-gross-september-13-october-19/. To find more about Gross, go to zachgross.com. Also, this Saturday, September 13, from 3 to 5 pm The Woodstock School of Art and The Historical Society of Woodstock present “SELDOM SEEN” at the Angeloch Gallery in Woodstock. “SELDOM SEEN” is an exhibit of 63 paintings from the collection of The Historical Society of Woodstock selected by Susana Torruella Leva. The show also includes drawings and prints by artists associated with the Woodstock colony, works that span throughout most of the 20th century. The show can be previewed here. For more information, go to http://myemail.constantcontact.com/SELDOM-SEEN–Art-from-the-Historical-Society-of-Woodstock.html?soid=1103011793515&aid=Jdqw_lAhbXo. Catskill Fly Fishing Museum in Livingston Manor is hosting the screening of “To Be Forever Wild,” a documentary about the Catskill Mountains, this Saturday, September 13 at 7 pm in the Wulff Gallery. If you visit the Fly Fishing Museum this weekend, also look for its permanent exhibitions documenting the history of fly fishing in the Catskills. More information at http://www.catskillflyfishing.org/exhibits/. The second Friday of the month it’s the “Woodstock Nights,” an event meant to get people to stroll and shop in Woodstock, while enjoying music performances and artists shows on the street, in shops and in restaurants. Classical pianist Peter Cody and jazz performers Robert Darnell and Elena Batt will be performing this evening at the Kleinart / James Center on Tinker Street from 6:30 to 8:30 pm. For more information, go to http://www.woodstocknights.com/. Also, Dia:Beacon gallery in Beacon is having an Artist Talk this Saturday, September 13 at 2 pm, The Beacon Indie Film Festival opens tonight at the University Settlement Camp theatre, and Pine Hill Community Center is hosting its quarterly Cabaradio program this Saturday, September 13 at 6 pm.